It's time to play up your whimsical side at the office. I love transitioning a space to be more fun and give it personality. 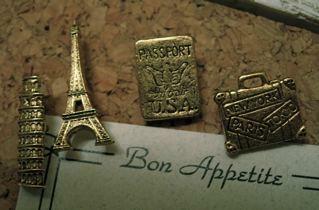 These sweet office accessories pack tons of personality into a tiny package. They'll be sure to make spending time at work seem less like, well, work. 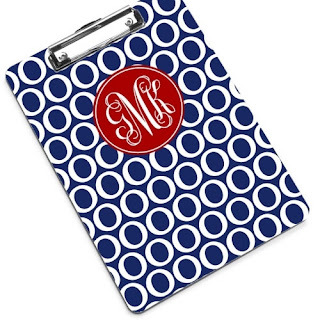 You know me I am a sucker for anything monogramed. 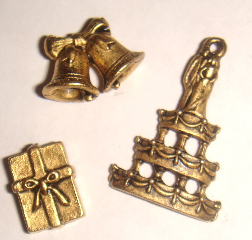 Love these office accessories. 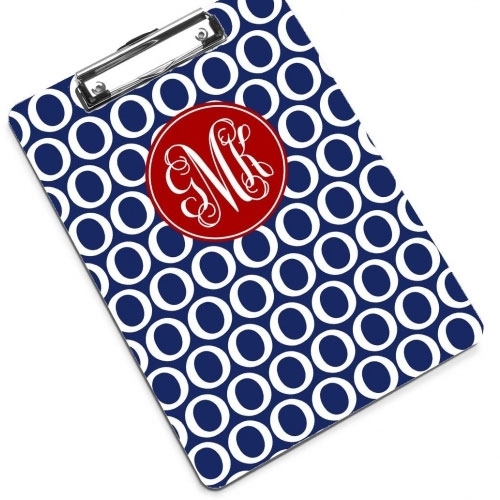 Clipboard and Mouse pad both from Fun and Sassy Designs. 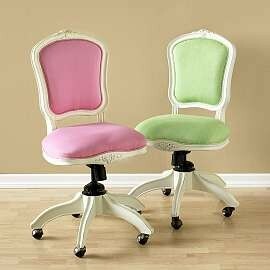 Definitely a splurge but how can you resist these swivel desk chairs from Pottery Barn Teen ? 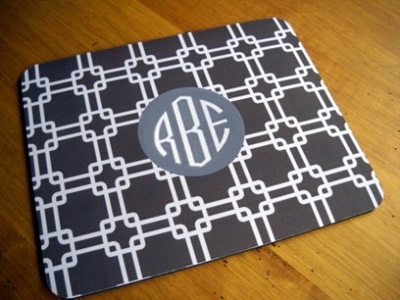 Great for your home office. 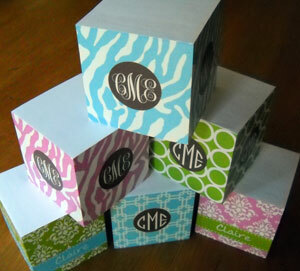 Got to love these post it cubes from The Monogramming Queen. Pick your font and design! Want something a little more funky? 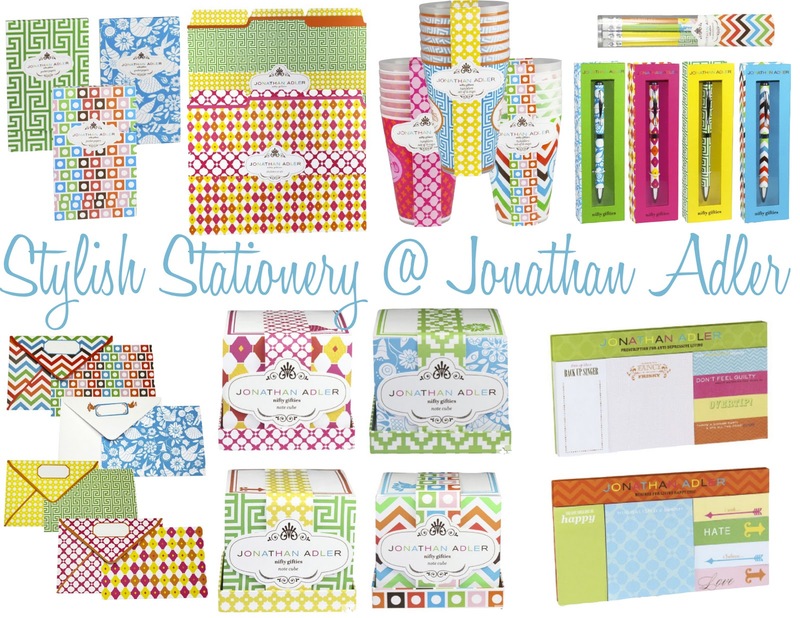 Check out these great patterns and colors by Jonathan Adler. 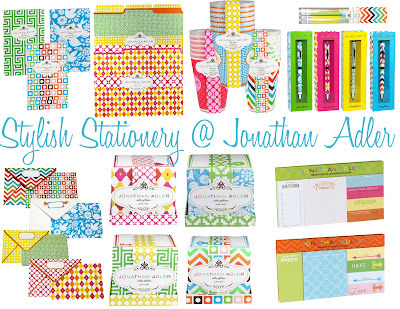 Love how fun and bright these office supplies are. How stunning is this paperweight calendar exclusively from Horchow. 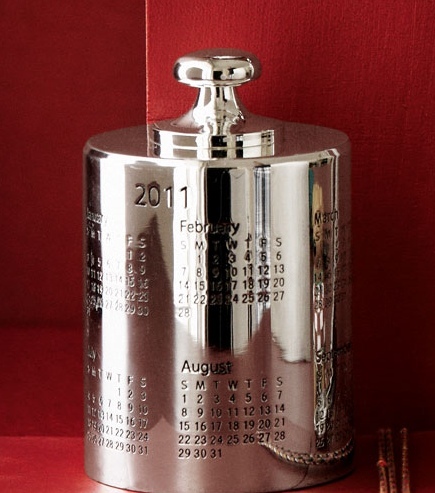 It is only $25 and beats an ugly paper calendar you put on your wall. 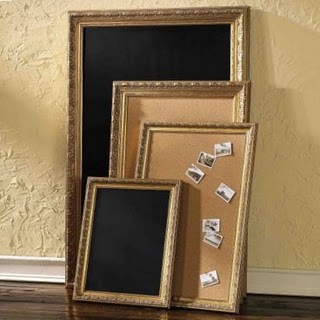 No office is complete without a large beautifully framed bulletin or chalkboard. 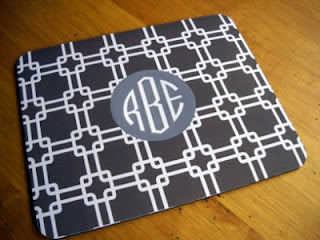 These framed boards can cost you up to $500 at Ballard Designs. You DONT have to spend that. 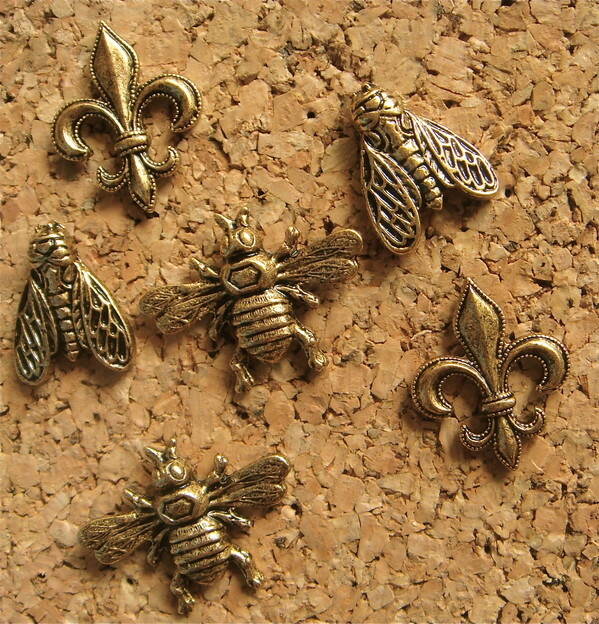 There is an easy and inexpensive way to do yours for under $100. If you like DIY projects then this is cake. I went to Aaron Brothers bought a $20 corkboard, a $60 thick gold pre -made frame and had them frame the corkboard for $20! It looks amazing. Once my home office is complete I will post pictures. 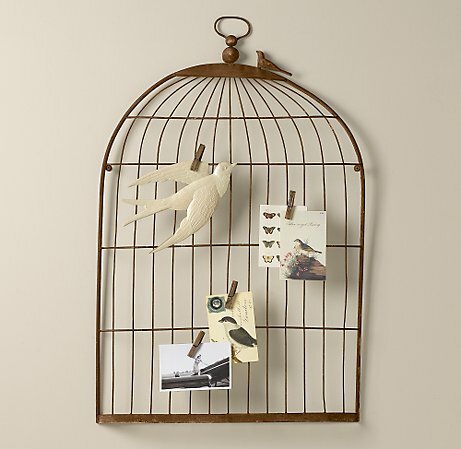 To complete your office decor add this birdcage memory board to your wall. Clothespin pictures, invitations or anything you like to this birdcage. The least expensive place I found this was at Bella Home Fashions. Restoration Hardware sell it as well, but it is much more expensive.